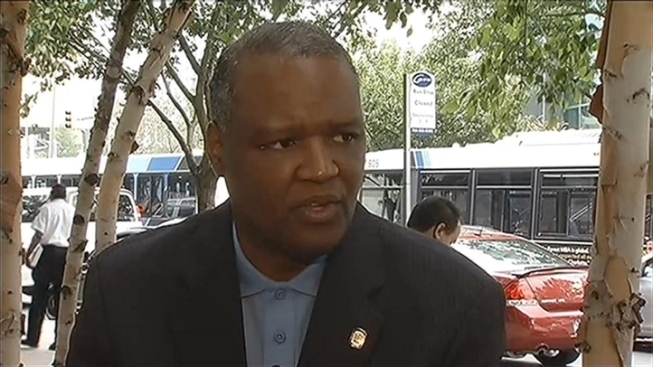 Prince George's County Executive Rushern Baker wants to personally fix the county's struggling school system. News4 confirmed with Baker's staff that he is pushing for state legislation that would put the county executive directly in charge of the Prince George's County Public Schools superintendent and the school system's budget. The superintendent would become a cabinet position answering to the county executive instead of the school board, News4's Tracee Wilkins reported. An education expert appointed by the county executive. A business expert appointed by the County Council. The president of the county PTA. Three new non-voting board members would be representatives of the county's three colleges: Bowie State University, University of Maryland and Prince George's Community College. The legislation will be introduced in Annapolis next week. "I firmly believe the children of Prince George's County deserve the best public education possible," Baker said in a statement. "My proposal is an effort to make our schools stronger by using all the resources the County government has to offer so that our children and families have the tools they need to be successful. "I am confident that by providing the superintendent with more autonomy, giving the school system more resources and expanding the expertise of the board of education, our schools will be able to serve the children and families of Prince George's County in a more holistic manner." School Board Chair Regina Jacobs said progress is being made in the system and she wants it to stay that way. "If this thing goes through, there are some very significant questions that must be answered to ensure that academic achievement doesn't go backwards because it has been going forward from 2004 up until now," she said. This is a bad bill that is being pushed through the legislature under the guise of education reform and without the benefit of a public hearing. The public’s voice will not be heard. Our students, teachers and employees will have no say in this decision. Mr. Baker’s proposal reduces public oversight of schools and voids the rights of our parents, students and labor unions. It also does not recognize the achievements of our students—80% perform satisfactory on state-mandated assessments. If Mr. Baker truly wants to improve education in Prince George’s County, he should start by helping to promote more parental engagement. He should also help by finding funds to attract and retain our teachers. Our youth should not be used as political gambling chips. They are our hope for tomorrow. This bill undermines the progress our students are making. It places our schools in an untenable situation. Prince George's County Public Schools is Maryland's second largest school system. There have been five superintendents in 10 years, and the county's Board of Education is currently interviewing candidates to find a permanent replacement for the departed William Hite.